In the summer of 1958, John Menard Jr. was trying to earn some money to pay for his studies. He worked in construction and about a year later, his name was known around the area of Eau Claire where he constructed numerous buildings. Because of his hard work, it didn’t take him to realize that the demand for his work was increasing. After graduating, he focused on creating his own business – Menards(R). The company continues to expand; from constructing pole buildings, the distribution of lumber materials to the public, as well as other building packages such as nails, concrete, and steel. In 1994, Menards reached residential homes, selling improvement materials for replacement and new constructions. This simple yet hard-working start allowed the company to become one of the most recognized home depots in the world. Wood Windows – Pine for the interior reflects natural beauty while fiberglass for the exterior reflects durability. These Menards Windows are about eight times sturdier than vinyl, proven by stability in varied temperatures and a lifetime warranty. Wood windows are from Crestline and Jeld-wen. Shaped Windows – Varied shapes such as octagon, circle, diamond, round top, garden and oval are combined with single pane or insulated glass. These windows are usually fixed. Menards refer to these as Accent windows. Roof Windows and Skylights – Can increase the amount of light your home needs directly from above. These windows are available with tempered or laminated glass for added durability (you can opt for a low-E argon glass for energy saving purposes). Some are fixed while some can be added with a lever. You can even add insect screens or blinds. 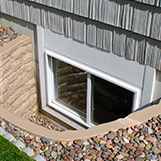 Basement and Utility Windows – Basement, egress, and jalousie windows distributed by Menards windows are from International Product Supply. Awning Windows– hinged at the top and open outward, allowing for ventilation even during a light rain. Often used in combination with other window styles or placed higher on walls for privacy, awning windows are easy to open and close. These windows can be added with features such as exterior shutters, glass blocks and panels, and window wells. 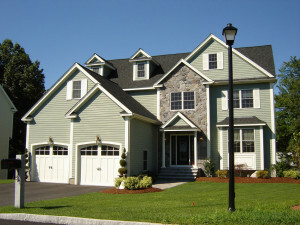 Exterior shutters are louvered and made from DuraPrene or DuraStyrene. These accessories come in different colors with the look of natural wood and are sold with a limited lifetime warranty. 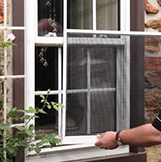 Prices of window products at Menards Windows differ according to type, color, size, and features. Thus, it is necessary to compare prices of various Menards window types and to put products side by side in order to see the pros and cons. When it comes to warranty, Menards offers different warranties depending on the model, as most of them give their products a certain length of warranty years based on materials and confidence. Therefore, the price of the end product you will get is dependent on your careful selection and inspection.